Dhanwantari is a small, intimate studio. You will experience smaller class sizes and more personal instruction. Each instructor tailors the class to suit the needs of their students. Most of our classes are drop in. Simply come downtown and enjoy a class. No need to sign up in advance for drop in classes. See all our descriptions below for more details. Also known as Yoga Chikitsa, this is the full Primary Series as taught by Sri K Patthabi Jois. This set sequence of postures utilizes ujjayi breathing and focused gaze (dristi) to increase strength, flexibility, and concentration. This class is not for beginners; exposure via the Mysore classes or the 4th Saturday Beyond Basics classes is recommended. Any class noted as a Half Primary moves on to the finishing series after Navasana. This class is designed for the true beginner or for those who want to refine their practice. This slow, gentle paced Vinyasa (flowing with breath) class is perfect for those new to the yoga practice. Explore simple postures with more detailed instruction to allow greater focus on safety and alignment. Suitable for all levels. Ready to go deeper? This class is perfect for those looking for the next step or just a little bit more. This moderately paced vinyasa class will build upon the foundations of our Basics Class and Yoga 101 course. Discover how 'not scary' the more challenging postures can be through creative sequences and inspiring instruction. Level 2-3. 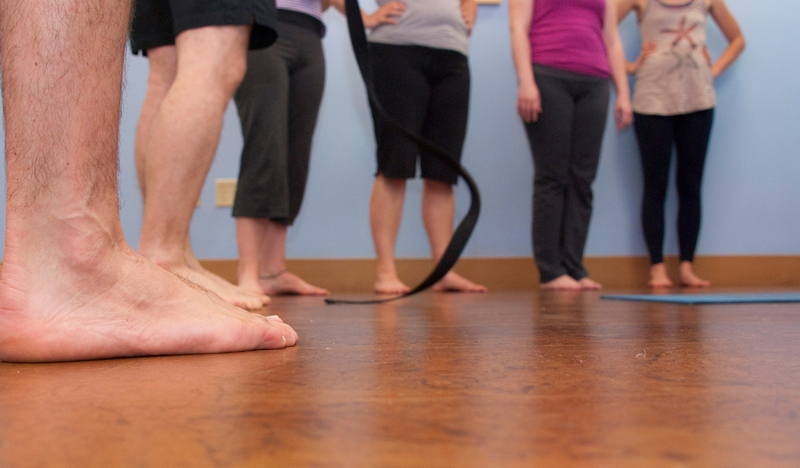 Our Hatha or Basics classes, made even more affordable with the PWYC sliding scale. Suitable for all levels. 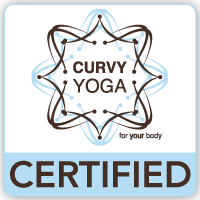 Curvy Yoga classes are a safe, body-positive space for yogis of all shapes, sizes, and ability levels. Classes are intuitively sequenced and modifications offered to allow those with curvy bodies to develop strength, flexibility, and balance while also exploring the breath and deepening our awareness. It's a safe, fun environment and a practice that meets you right where you are. Suitable for all levels, beginners always welcome. Currently offered as a series. A gentle vinyasa flow to work out the kinks, and restorative to let it all go. A great way to wrap up the week! Suitable for all levels. Focuses on strength through alignment, long meditative holds and lots of core work. Bring a towel and water cause you're going to sweat. Level 2. A workshop-style class that introduces the basics of Ashtanga yoga as taught in Mysore, India. This workshop prepares you to attend Mysore-style classes. Enjoy an invigorating vinyasa practice to kick start your day! Work out the sleep kinks with Sun Salutations, postures to lengthen and support the spine to encourage a relaxed, yet energizing state to carry you through the day. Suitable for all levels. Our level 2-3 vinyasa, kicked up to a more intense pace with the occasional themed class. Your yoga practice is priceless, and money shouldn't keep you from it. Dhanwantari strives to be the most affordable studio in town. Still we understand that money keeps many away from regular studio classes. We are indroducing Community classes with the payment scale of PWYC: Pay What You Can. Our suggested donation for the yoga classes is $5-8, and meditation/pranayama classes is $3-5. Suitable for all levels. A gentle and relaxing practice for recharging the body and mind. This combination of gentle stretching and relaxing poses supported by various props help provide relaxation and balance and can also be beneficial for restoring range of motion and mobility. We often close with a short Yoga Nidra practice, allowing for even deeper rest and stress relief. A slower pace and well-rounded practice will leave you feeling relaxed and refreshed. Suitable for all levels. The shapes of many Restorative and Yin asanas are similar. This provides a unique opportunity for a varied approach within the practice, taking deep stretches where you need them most and soaking up the rejuvenation of the restorative poses. Options and instruction provided for both where applicable for a truly tailored approach for YOUR body and your needs in the moment. Suitable for all levels. Take it easy. Slow flow is a gentle, meditative vinyasa offered at a slower place with an opportunity to rest in each pose. It is perfect for beginners or for those who are looking to de-stress and rejuvenate. Suitable for all levels. A wise man gave a reminder (in a meditation workshop!) of the importance of stamina-building in asana practice. Many vinyasa and Ashtanga yogis can salute the sun until the cows come home, but longer holds of stronger poses leave us shaking and exhausted. This class aims to build strength and stamina by way of slow flow vinyasa that incorporates longer holds in all types of active poses. Suitable for all levels, but some yoga experience is recommended. Wake up with the sun! This challenging class offers 30-45 minutes of a variety of Sun Salutations while still providing the balanced approach that is the foundation of Vinyasa at Dhanwantari. Level 2-3. Release tension and discover true relaxation. This is our gentle to moderately paced Vinyasa (flowing with the breath) yoga class. Explore harmonizing postures within a perfectly designed sequence for stress relief. Emphasis on breath will help calm and soothe the ever-racing mind. Teachers may also offer a gentle head and neck massage easing you into savasana (final relaxation). Suitable for all levels. Vinyasa means to 'place in a special way' and is traditionally known as linking each pose in a flow with the breath. This is an active, completely balanced practice that will leave you feeling relaxed and rejuvenated. Suitable for all levels. Opposed to the "yang" practice which focuses on muscle energy and generating heat, "yin" classes work more passively, using breath and prop-supported postures to open up the joints, fascia, and connective tissue, re sculpting the inner web of our body-minds. Most poses are held 3-6 minutes. Suitable for all levels.